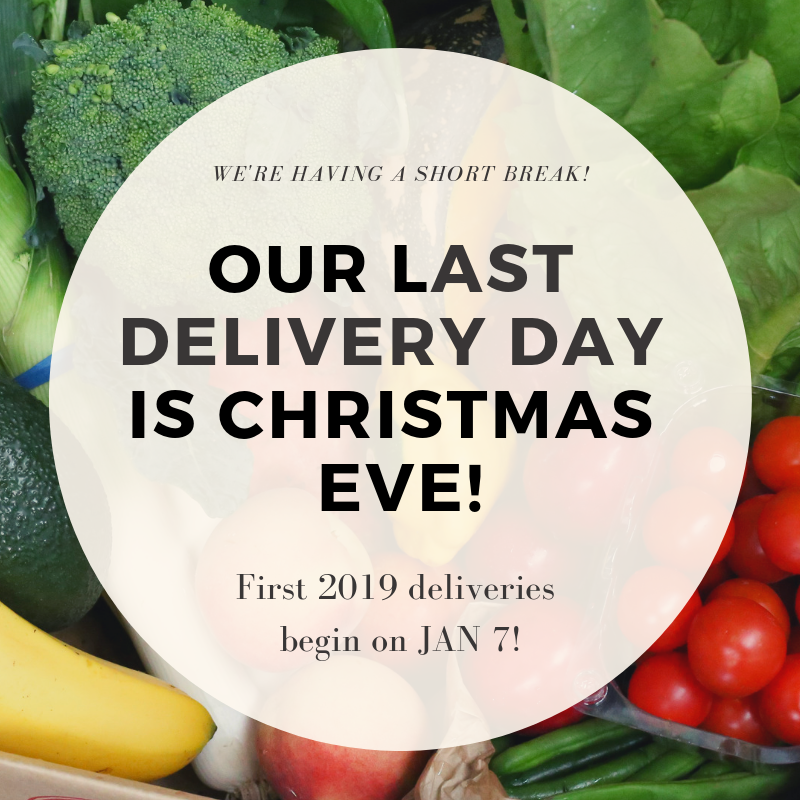 Get a feast sized delivery on Christmas eve! We’re have a short break for 2 weeks but will be back Jan 7 to keep your Summer grocery supplies (and all the peaches) fully stocked! ps. The calendar is working in your favour this year … get (very) Last minute, ethical gifts and festive groceries delivered to your door on december 24!